St. Croix has a wide variety of beaches. All beaches on the island are open to the public. However, the punlic area only extends 15 feet up from the waterline. Thus, owners of private that adjoins a beach can prohibit beachgoers from using their property. Along the same lines, property owners may prohibit the public from crossing their property to access a beach. can be quite strong, however. 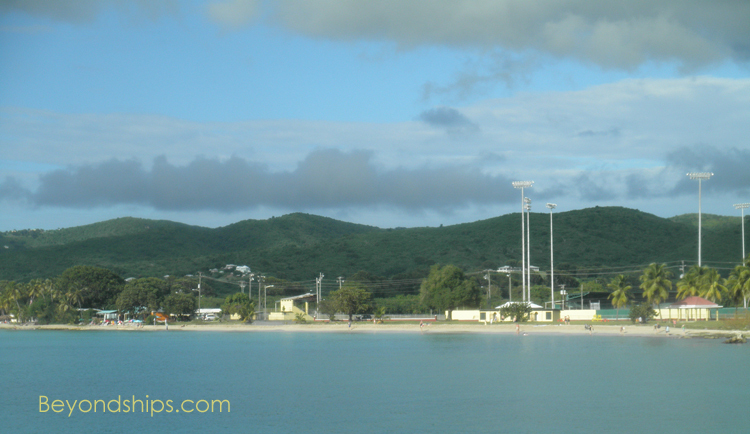 Davis Bay (Carambola) is another palm-lined beach that is popular with divers and snorkelers. The bottom is rocky and the current can be strong. It has a restaurant and a bar plus a place to rent snorkeling equipment. Another beach with historic associations is the Columbus Landing Beach (left). It has a reputation for being a quiet beach with good snorkeling along its sea grass covered sea floor. Located within the Salt River National Park, facilities at the beach are described as minimal to none. In contrast, the Beach at Hotel on the Cay offers resort facilities (below). 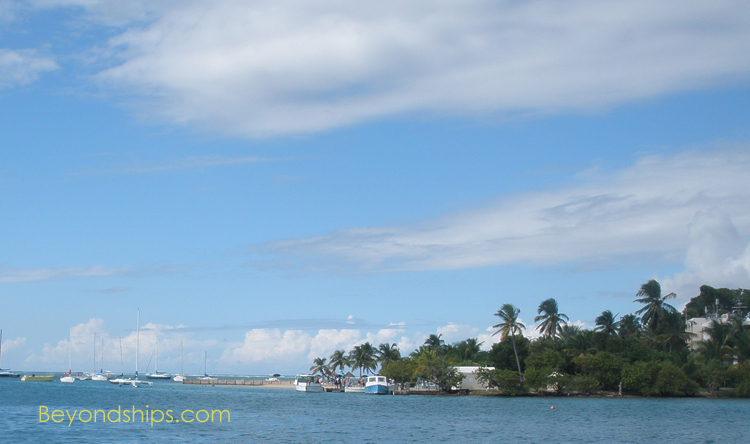 Located in Christiansted harbor, it is accessed via a ferry that runs from the fort area. Beach chairs, water sports equipment, and snorkeling equipment can be rented there. Visitors can also have lunch and drinks beach side.